Next week on Monday, September 21st through Saturday, September 26th, you are encouraged to go for gold in support of Childhood Cancer Awareness Month. The 4C Foundation and SGA will be hosting several events during this week to show support for and to fund childhood cancer research. Throughout next week raffle tickets will be sold in the Commons for $3. 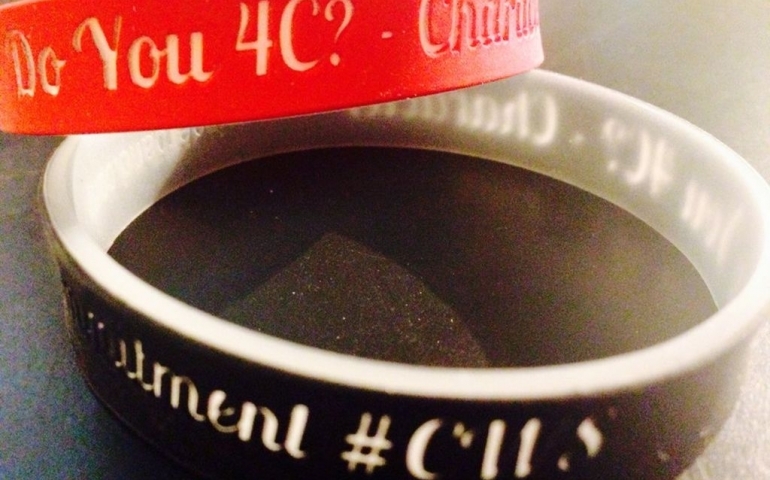 In addition to the raffle ticket, you will receive a gold 4C wristband that you can wear to show your support. The purchasers of the first 120 raffle tickets will also receive a voucher that can be used for a catered meal by Qdoba at the SNU football game against Southeastern Oklahoma on September 26th. The 4C Foundation, who will be receiving the proceeds of the fundraising, was started by the family of sophomore Jacob Spady in memory of his brother Caleb who succumbed to DIPG (diffuse intrinsic pontine glioma) cancer. The 4C Foundation funds research trying to find a cure for DIPG. DIPG is an aggressive cancer that forms in the brain stem and is always fatal. In addition to the tickets being sold in the Commons and the September 26th football game, there will be a table for sales and donations at the 7:00pm volleyball game vs Oklahoma Baptist. Raffle prizes will be given away at both the volleyball and football game. The grand prize of an iPod mini will be given away at the football game. Courtney Bowie, who is arranging the Go for Gold activities at the volleyball game, encourages students and faculty to wear gold next week for childhood cancer awareness month. Both Bowie and Spady would like to see a “gold out” at both the volleyball and football game. Spady would also like to remind us that “Childhood cancer is here and is around us all of the time. We need help raising awareness; not a whole lot of people know about September being Childhood Cancer Awareness Month.” Spady’s ultimate goal is for others to associate September with the color gold and childhood cancer awareness with the same ease that October is associated with the color pink and breast cancer awareness. For more information on the 4C foundation, or to make a donation you can visit their Facebook page at www.facebook.com/4CFoundation/.